Seller will give Buyers a $2,000 flooring allowance at closing with an acceptable offer. New handicapped ramp just installed. 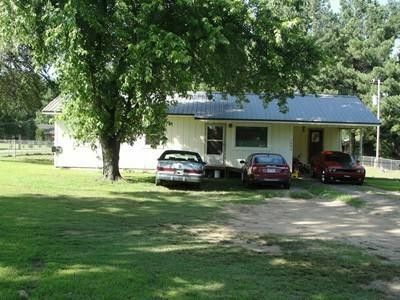 This home has Hwy 64 frontage, just minutes from Clarksville, metal roof, ceiling fan in home, large trees in the yard, new central heat and air 4/16/19 and driveway repaired, insulated windows, 2 bedroom with possibility of a 3rd and 1 bath.